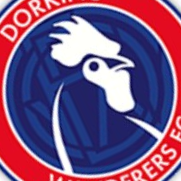 The Blues matches with Dorking Wanderers have been switched and the dates now confirmed. Wanderers will visit Essex on Thursday 15 March, kick-off at 7:45pm. Town will then travelling to Dorking on Tuesday 17 April, which will also kick-off at 7:45pm.